I am delighted with the report published by Ofsted after our recent full Section 5 inspection. 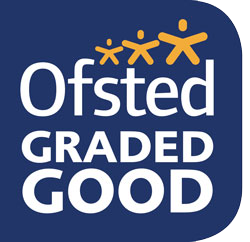 A copy may be found in the Ofsted section as well as the book bag section of our website. It will also be available on the Ofsted website along with our data dashboard shortly. It is a very strong and ‘Good’ report in all areas, full of praise for the enormously wide range of work in which the school is engaged. It has been well earned and a just reflection of the enormous effort put in by all the staff, governors, volunteers and parents who have supported me in our journey towards building these much firmer foundations for the Priors School since our previous inspection.